Qingdao Plus was founded as one subsidiary and supporting company to our own factory. 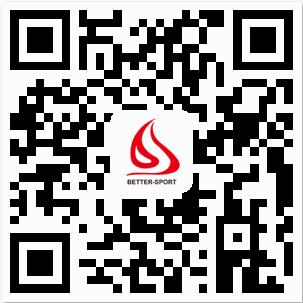 Now we have the chance to meet the foreign clients directly and export our manufactured martial arts sport products (BETTER-SPORT) such as EVA mat, taekwondo products, karate products, boxing equipment (gloves, boxing ring, MMA cage), judo mat, yoga products, aiming to become your One-Stop Sports Supplier. We also have the ability to provide you with the best china products in different industries with our more experienced colleagues, to be your sourcing agent, be a team. With internationally famous brand quality control, we've successfully gained certification and audit from SGS. OEM partnership is open and welcome here, so you can deliver your own brand dream with our professional experience, capabilities and sincerity. For us: One Plus One is more than Two. (1) The Toughest MMA Cages on Market. 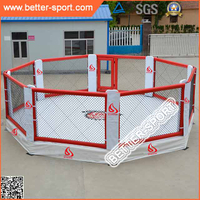 (2) Cage with round stands perfect for competition events (3) Anti-deforming Steel Meshwork (4) Heavy-duty steel post and frames give extra supports and security for ultimate in stability. (5) All steel frames or posts by powder coated anti-rust treatment for long-lasting performance. (6) Cage Panel with exclusive anti-deformation and crack vinyl coated chain link fence. (7) Easy install step by step with two mans in 2 hour (8) Top Industry Quality standard , Warranty for 5-9 years (9) All accessories and installation instructions are included.